Photocopiable resource offers guidance and materials to aid those developing multisensory environments - artificially engineered spaces that encourage relaxation, social skills and learning by stimulating the five senses. 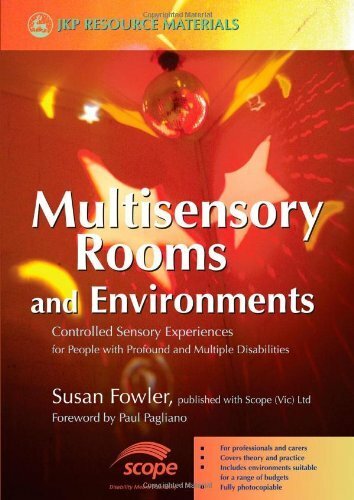 Particularly useful for those working with people with multiple disabilities, this resource explains the theory underlying multisensory environments, describes the different types, and outlines the practicalities of planning, setting up and equipping a multisensory space. The resource also features useful checklists and tools for creating multisensory experiences in both designed and everyday settings, such as the kitchen, bathroom, garden or beach.